I brought my Bimmer in for a check to Foreign Affairs Auto and the service was outstanding and thorough. Everything was explained and print outs plus photos were given to. This is a A+ shop with a professional staff. I recommend it highly and I have owned Bimmers for 41 years. So I can talk from experience. I recently took my X3 to Foreign Affairs Auto based on the previous reviews on bimmershops.com. My car has a lot of miles on it and was due for Inspection II service. Taking it to Foreign Affairs was the best choice. They are easy to talk to and make you feel comfortable while waiting for your car. The best was the price. They offer fair pricing on their repairs. I will return to their shop for future service needs for my X3. I initially took the car to a BMW dealership. I was given an estimate of $5600 not including tax, and told that the repair could actually be higher depending on what other parts needed to be replaced. I decided to try Foreign Affairs Auto, as this service department had been recommended by a friend. I arrived at 8:30 am. I was given an estimate of $3000 to replace the hydro unit and ABS/DSC pump, with the understanding that costs could increase if other parts needed to be replaced. The repair was completed by 1:30 pm, earlier than expected. Total cost was $3279 including tax. I found this service department to be very efficient and professional. My car was completely repaired without needing to replace additional parts. I am extremely happy with the quality, price and efficiency of the repair to my BMW Z4. My buying experience was excellent. I flew all the way down from Michigan because my wife, after doing thorough research, determined that Foreign Affairs Auto had the absolute best price on the BMW she wanted. Jonathan picked me up at the airport and from there on I was most impressed with the service provided, not to mention the immaculate condition of the vehicle I was purchasing. I've never seen a car better prepped and cleaned than this one was. I normally hate going to dealers for my autos, but I must say, after 6 months of ownership, my wife and I are still 100% satisfied. Since my warranty has expired with BMW, I have been taking my vehicle to Foreign Affairs Auto. They have been saving me a ton of money on my repairs for over a year. They know what they are doing, and they are very courteous. One of my caution lights came on recently. Unfortunately the light came on when they were closed. I took it to another auto shop, and they gave the wrong diagnosis. I ended up spending money that I didn't need to. I took it to Foreign Affairs when they were open and it turned out to be something else. They are always a pleasure to work with, and they wash your car before they give it back to you. At last, found a very pleasant experience at a shop repairing foreign cars.. Yes, the shop called Foreign Affairs, in West Palm Beach, was fantastic. Took my '04, x3 in for a rough running engine.. They replaced two ignition coils and it runs perfectly again.. No trying to sell me on things not needed. Super easy to deal with, very clean and professional shop. Match against and Mercedes shop anywhere for cleanliness. They also took my "after market extended warranty" and said don't worry we'll handle everything, we are used to working with these companies.. They even fought with the warranty people to get everything covered. Really good people.. Can't say enough positive things about them. They are going to be my repair shop for life! I've been looking for a trustworthy, honest shop to service my Z4 BMW because every time I bring my car to the dealer where I originally bought it for scheduled maintenance, they manage to convince me to pay for other services so I end up paying $$$. As a female, I admit I don't know much about engines, etc so I think they take advantage of that. I'm so happy I found Foreign Affairs Auto. Frank, the owner, gave me a detailed estimate of the cost of materials and labor so there were no surprises and the price reasonable. The repair was completed in a timely manner. From talking to Frank after the repair was completed, I have the impression that they have the right technology and skillful mechanic to service my Z4 competently. Frank went the extra mile by washing my car and delivering it at my convenience. I also find the rest of the staff friendly and accommodating. I like the warm, family atmosphere. 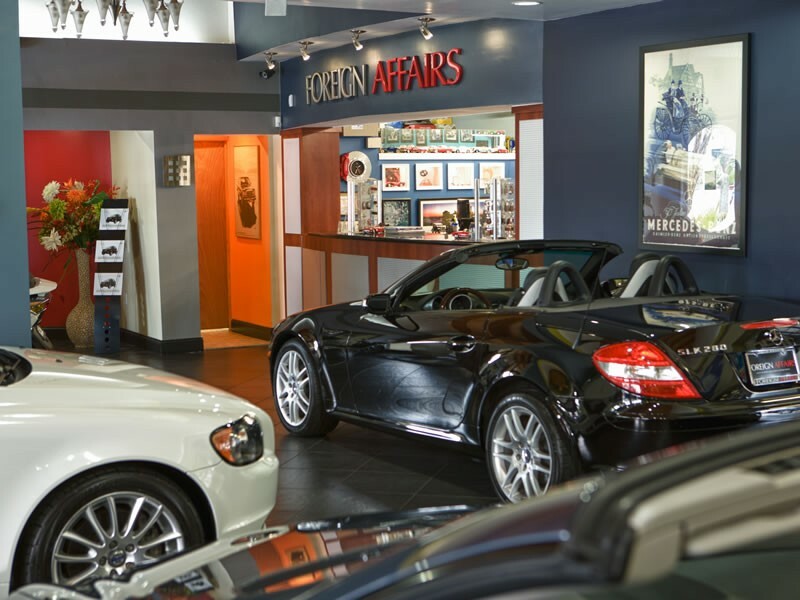 I have never had a BMW serviced at Foreign Affairs Auto, but having said that if they service their customer vehicles to the same level they do their inventory, which they appear to do, anyone would be delighted with their service. I have found every bit of their operation to be straight forward, reliable, honest and very professional. Keep up the good work. I was in the market for an oil change on my bmw 335d. I decided to try Foreign Affairs becuase their price was very competitive. They also sell cars on site which i found to be very well cared for and fairly priced. The waiting area has everything one needs to make time go by fast, the shop was very clean and well equipped. In summary - honest shop and people that take pride in their work. I recommend them and will return. This place is one of the few shops that still believes in customer service. First of all, as soon as I arrived, there was no wait and I was immediately offered an espresso or cappuccino. They also offered to drive me where I needed to be instead of having to line a rental car up. The service was quick and I had my car back the same day. On top of all of this, my BMW is running great and will definitely be using them in the future. I've been a Foreign Affairs customer over a decade now and I couldn't be happier. Their customer service extends into hospitality. My family has purchased 5 vehicles to date, ranging from SUV's to my current M5, . They have proven themselves at all price points, I've yet to find a better deal. They continue to service each vehicle I own and so long as they are open, I'm never going back to the dealerships. I have a 95 Jag, and struggled to find a reliable, honest repair shop. Finally, a mechanic friend of mine recommended Foreign Affairs. Since then, I have taken all my cars to Foreign Affairs and have been impressed with the shop every time. On more than one occasion, they have either taken the car to the dealer for a warranty repair when another shop would have done the repair themselves and then charged me for it. Thanks to Foreign Affairs, my cars keep running, and I know that if there is a problem, it will get fixed right the first time, without having to bring the car back multiple times. I own a 1987 BMW 325is. I had someone recommend Foreign Affairs to me as I needed to have some work done on my car. It happens to have 65,000 miles on it and is in excellent shape. I have been delighted by the work and I will never go anywhere but Foreign Affairs for work on my car. Frank is honest and I always get great service. Kim is great, too. Foreign Affairs is welcoming, has a lovely waiting room and I actually look forward to going there! I have a 1987 BMW 325 (old school) and Foreign Affairs Auto is the only place i trust for servicing and repairs. I have been dealing with Foreign Affairs Auto for many years and the service has always been excellent. Frank and Kim takes special care of each customer by offering excellent customer service. I would definitely recommend them to anyone who needs honest and professional service for their foreign cars. Truly the most pleasant and enjoyable car buying experience I have ever had! Great Dealer experience, and add to that the fantastic deal I received on my new Audi A6 Avant, and you have one super satisfied customer. I try not to pour it on too thick in any of my reviews, but Fred and Jonathan really created a customer for life with their handling of my car sale. Professional, honest and upfront, don't hesitate to buy a car from Foreign Affairs. A week ago I brought my 2008BMW 335i to Foreign Affairs. Not only their repair fee is substantially cheaper than the dealer, the labor time is also less than the dealer's quote for the exact type of repair. It was a great experience and pleasure when I brought my car in and have Kim Lalonde (Service Manager) always being there to keep me informed with all details (From the time the part was ordered date to the time of picked up). Kim took on the additional responsibility to deal with my insurance company so that I didn't have to be the middle person. 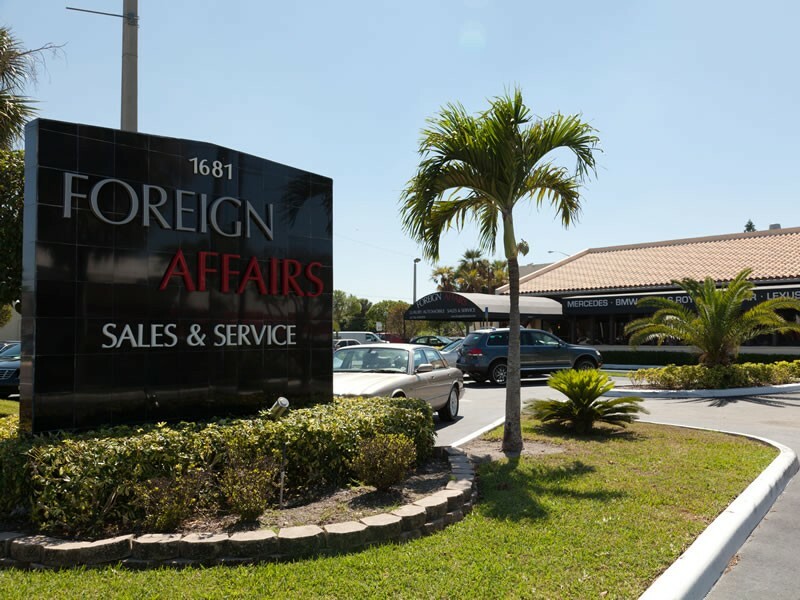 I have made two visits to Foreign Affairs and drove away both times with very nice feeling because of their exceptional customer service and professionalism. I will definitely recommend Foreign Affairs to any of my friends/family who seek for a good, honest and professional repair shop. Great Service! I was looking for a place my VW Passat and I could feel comfortable at, and Foreign Affairs Auto far exceeded my expectations. Kim and frank treated me in the manner in which I try to treat my customers, with professionalism and compassion. It is hard to find a business founded on virtue anywhere these days, but it seems to be their business model. The repair was diagnosed and corrected and in a timely manner, instilling the utmost confidence in their maintenance personnel. I will certainly return and highly recommend these folks. 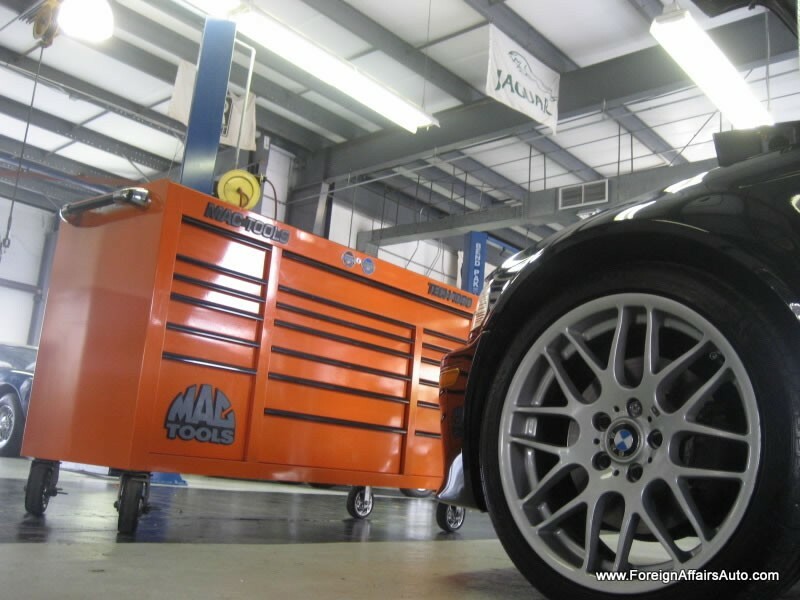 Pete C.
I recently had my BMW 550i serviced at their location and the experience was just wonderful. I must admit is a much nicer feel than the local dealership. The staff is professional, courteous and friendly. I found their establishment to be clean and inviting. Thus far I have recommended them to a few of my friends who also appreciate good service not to mention their rates are excellent. When you visit this location be sure to ask for Kim Lalonde that the service advisor that took care of us. I found the vehicle I wanted via the internet. Foreign Affairs web site is outstanding, easy to use and the photos of the vehicle were first rate. I sent an email and immediately was contacted by Fred. Fred is an exceptionable individual. He worked with me over the telephone for three days and I drove from Kissimmee to West Palm to purchase the car. The transaction was fast, efficient and the experience was low key and professional. Fred introduced me to the Ortiz family and I must say they each are genuine and a real pleasure to meet. What started over the internet wound up with a purchase of a very nice vehicle. Price, professionalism and service was well worth the drive. Unfortunately, a good auto mechanic can be hard to come by. While few people are happy to spend money on repairs and maintenance, there’s no reason why you shouldn’t feel good about dealing with those who do the work. 1. They employ qualified professionals to carry out the repair and maintenance work. 2. Professional Customer Service either in or out of warranty situation. 4. They back/warranty the parts and labor. 5. Friendly, helpful, and not irritated by your questions. 6. They get to know you AND your vehicle inside and out, and you’ll always be able to discuss your vehicle’s health with them. I not only use their mechanics for all my service needs, but I also bought my latest car here. Foreign Affairs Auto is a business that I have come to trust explicitly and so will you. I received a coupon in the mail for auto repair from this shop. I did not know there was a foreign auto repair ouside of the dealer for BMWs this close to my home. I decided to try them out. I have had loads of bad experiences from Dealers, Foreign Auto repair shops, and regular auto repair shops. So my expectations were not set very high. I figured they could fix my car's problems but with a hefty price tag. I was pleasantly surprised. I received numerous repairs in my sole visit and the price tag was less than a simple repair from a regular auto shop a few weeks prior. Of course, this was my first visit but I plan to take my next repair to them. Time will tell. I have been a customer here for 3 years now. I trade in approximately every 6 months and always have returned to Foreign Affairs since day one due to the intimacy of the Family Owned Business style which offers personalized service as well as professionalism. The entire staff, Fred, Sales, Jonathan, Finance, Gloria Bookkeeper, Kim, Service Advisor, Frank, Service Director and all the service mechanics are the nicest, most courteous, knowledgable, honest and personable group I have ever dealt with for both puchases and servicing. I am a forever customer! 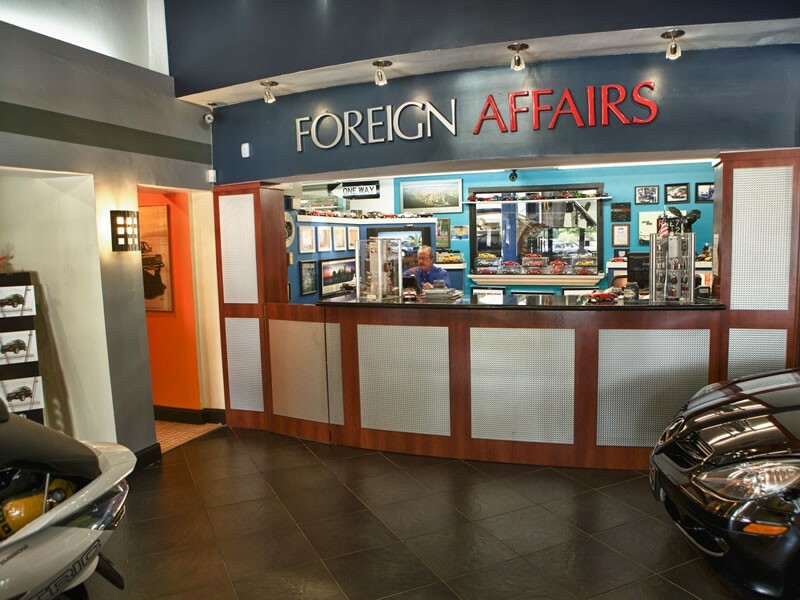 My family has had our automobiles serviced at Foreign Affairs for over 30 years and have enjoyed their high standards of service and their personalized attention to our needs. We have also bought used automobiles from them on several occasions and have had no complaints at any level. It is always a pleasure to do business with family a owned business where the quality of work performed is of primary importance. For over 15 years we have had our cars serviced by Foreign Affairs, including Mercedes, BMWs and Audi. We are always amazed at the quality of service, attention to detail, and highly traines staff which Frand and Gloria have established and continued by Jonathan. I recently had my Audi A-6 serviced and was delighted by the special attention and extra mile service to which they went to accommodate my schedule. We have and will continue to highly recommend Foreign Affairs to any of our friends.